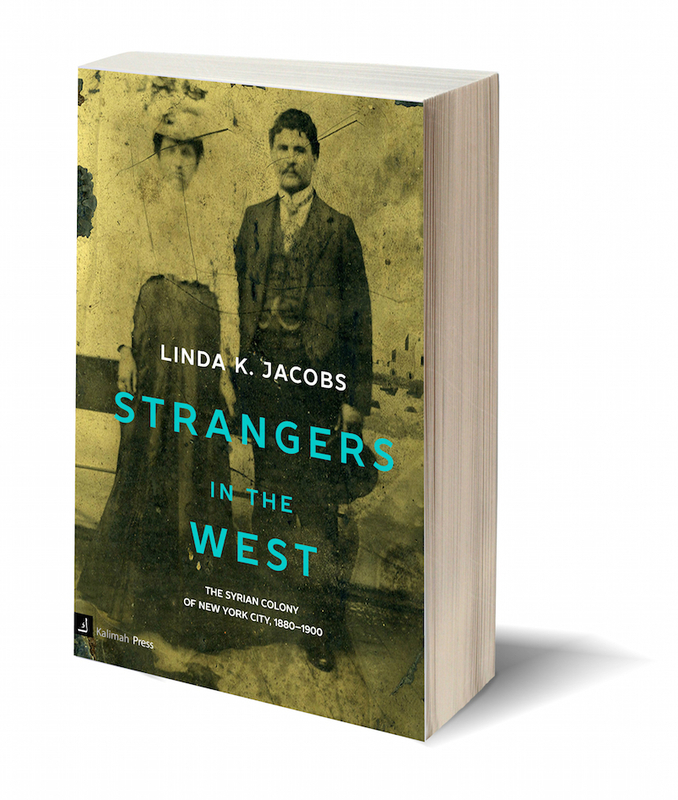 The story of the Joseph Arbeely family hints at how the “first Syrian immigrant family” constructed an Arab American identity by deliberately trying to mix the oil of the East with the water of the West. Far from being passive victims of stereotyping, the Arbeelys, starting the day they arrived, consciously attempted to control the image they presented to America. It helped that they were the “first” Syrian immigrants, and that Americans had no preconceived notions of who they were. Yusef Awad Hanna (al Qalush) was born in the village of Arbin outside of Damascus in 1828 and took the name Arbeely from his place of birth. He was educated and taught at the Orthodox College in Damascus, married and had four sons there. In 1860, in response to sectarian violence that was especially fierce in Damascus, he moved his family to Beirut, where he opened a boarding school for the sons of Orthodox Damascenes like himself. He helped the American missionary and founder of Syrian Protestant College, Cornelius Van Dyck, on his 1865 translation of the Bible into Arabic. Two more sons and a daughter were born in Beirut. Two of his older sons attended SPC: Abraham, the eldest, earned a medical degree there in 1872, and Fadlallah, the third son, earned a B.A. in 1872 and a medical degree in 1876. Perhaps inspired by what he had learned of America from his missionary friends, Joseph and the entire family (their daughter died in 1878), including his niece Jamilie, set sail from Beirut and arrived in New York harbor on August 21, 1878. 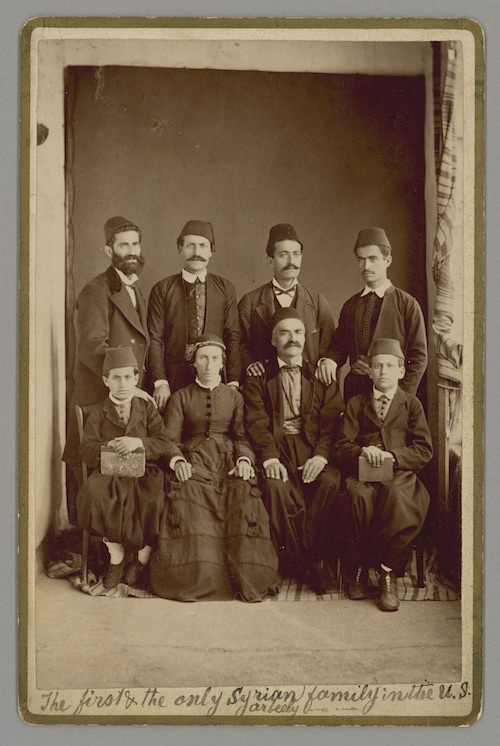 American newspapers described them, as indeed they described themselves, as the “first Syrian family that has arrived in the United States.” On arrival, the Arbeelys talked fluently about themselves, displaying all the traits that would make them appear as model immigrants: Christian, western educated, fluent in English, and seemingly already familiar with American customs. They told a story of escape from Ottoman oppression and the goal of seeking freedom in the United States, (which played well in Christian America. Their story seemed to be well rehearsed, and they presented themselves in a way that the reporter found attractive. Not surprisingly, their “native dress” was commented upon, but it was the fact that they were well-spoken and well-educated that most impressed him. Joseph expressed a desire to see all his sons educated and married in the United States—he obviously intended for them to put down roots—and four days after they arrived, he, his wife, and four older sons filed papers declaring their intention to become American citizens; they were naturalized six years later. Joseph was offered a position at a Presbyterian college in Maryville, Tennessee, which is where the family settled. Joseph taught Arabic to missionaries-in-training, and his younger boys attended school. A family of nine Syrians in a town of 1100, which had probably seen few if any foreigners, much less “Orientals,” was bound to attract attention, but as far as we know, they were quickly accepted by the community. One article described them as “quiet, peaceful, and industrious, and their immigration can not but result in mutual good.” Both Abraham and Fadlallah immediately began to practice medicine: Abraham in Austin, Texas, Fadlallah in Maryville. Joseph’s wife died in Maryville in 1880, and soon after that, he, accompanied by one or more of his sons, began to travel around the United States, lecturing about and dramatizing “Life in the Holy Land.” The Arbeelys appeared in “native costume,” sometimes dressed in women’s clothes, as they performed reenactments of Muslim weddings, sword fighting, and dancing. 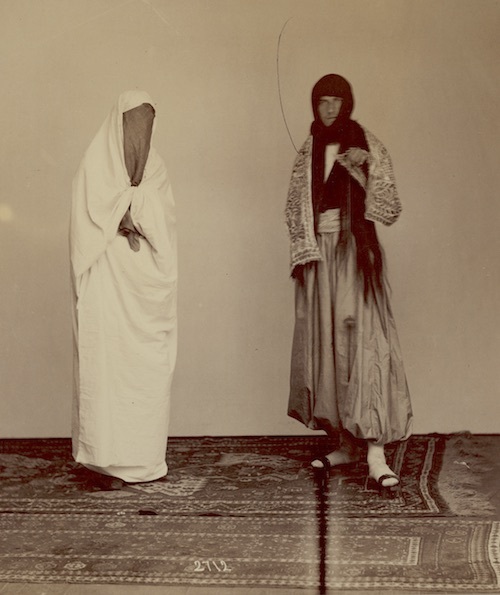 Since the Arbeelys ostensibly hailed from the “Holy Land,” these performances were presented as Christian as well as authentic reenactments, and therefore were seen as morally uplifting and educational. These factors made them well worth the price of admission of twenty-five cents (fifteen cents for children). The Arbeelys performed in churches and halls all over the country, despite the arduousness of travel in the nineteenth century. They also constantly moved residence, joining up for more or less extended periods in Maryville, Atlanta, Los Angeles, Washington, D.C., New York, or Cairo. Abraham, for example, after 18 months in Austin, moved to Hot Springs, Arkansas, then to Washington, DC, Los Angeles, Washington again, New York, Cairo, and finally back to Washington to stay, practicing medicine wherever he went. Nageeb, the fourth son, traveled all over the U.S. lecturing and performing, beginning even before he graduated from high school, then went to Jerusalem as Consul-General for the United States in 1886. 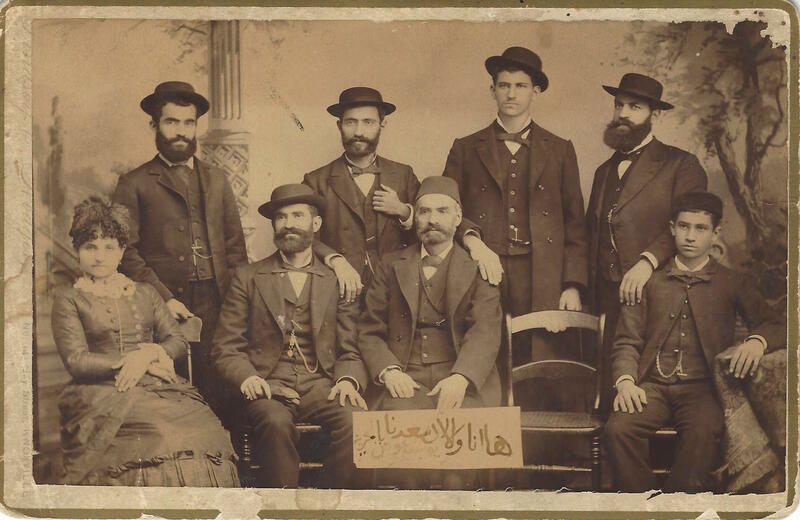 He returned to America and resumed his lecturing around the country—on both coasts—and finally settled down in New York, where he and his brother Abraham founded America’s first Arabic newspaper, Kawkab America, in April of 1892. 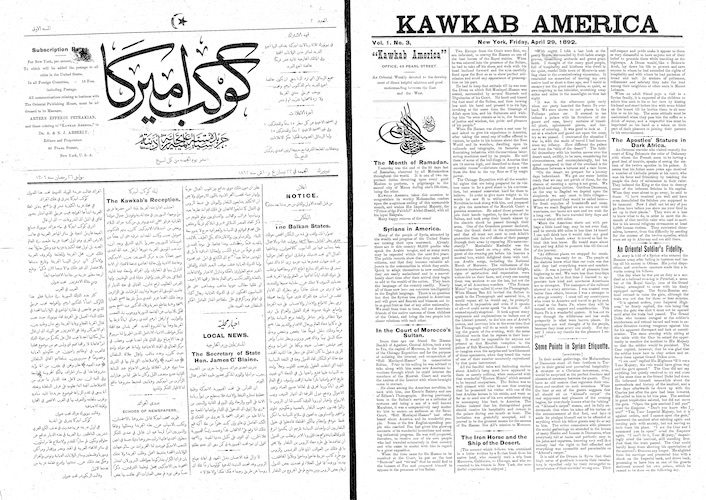 English and Arabic pages of the Arbeely newspaper, 1892. The English page was eliminated after one year. The paper operated out of a fourth-floor loft at 45 Pearl Street in lower Manhattan, several blocks away from the Syrian quarter on Washington Street. The Arbeely brothers, the compositor, Yusef el Hajj, and the first editors, Arteen Petrakian and Abraham Rihbany, all lived there too. 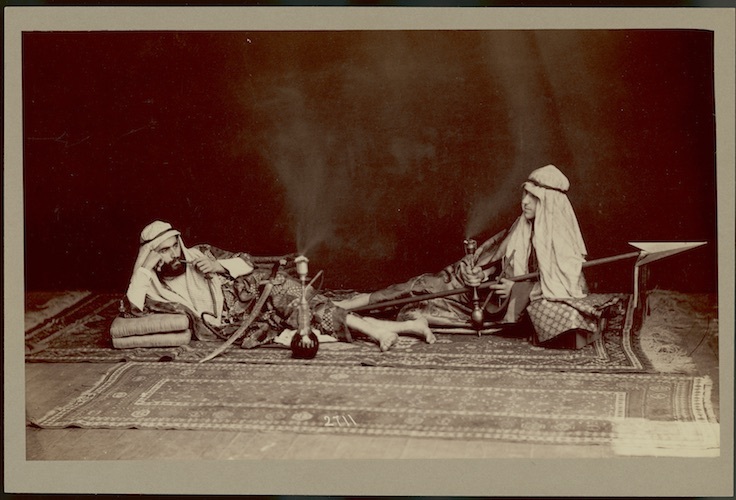 During the day their beds became “oriental divans,” and daggers and carpets decorated the walls. The launch of the paper was covered extensively in the American press; an article about it even appeared in a Hawaiian daily. The first four years of the newspaper are extant, and from those issues, one can discern several themes running through it: the hazards and rewards of immigration; practical advice for peddlers and merchants; and how to approach the moral and ethical dilemmas encountered when trying to do business in America. Early unquestioning loyalty to the Ottoman regime soon gave way to discussions about the pros and cons of settling in the United States and becoming citizens. Another important theme that ran through the early issues was that of “face:” letters to the editors and the editors themselves constantly admonished their fellow Syrians to behave well so that Americans would not criticize or mock them. The newspaper reflected the conflicted feelings of the Syrian diaspora, which constantly questioned how and whether to fit in. The Arbeelys seemed to have had no such problem. They constructed and managed their dual identity of “American” and “other” with deftness. 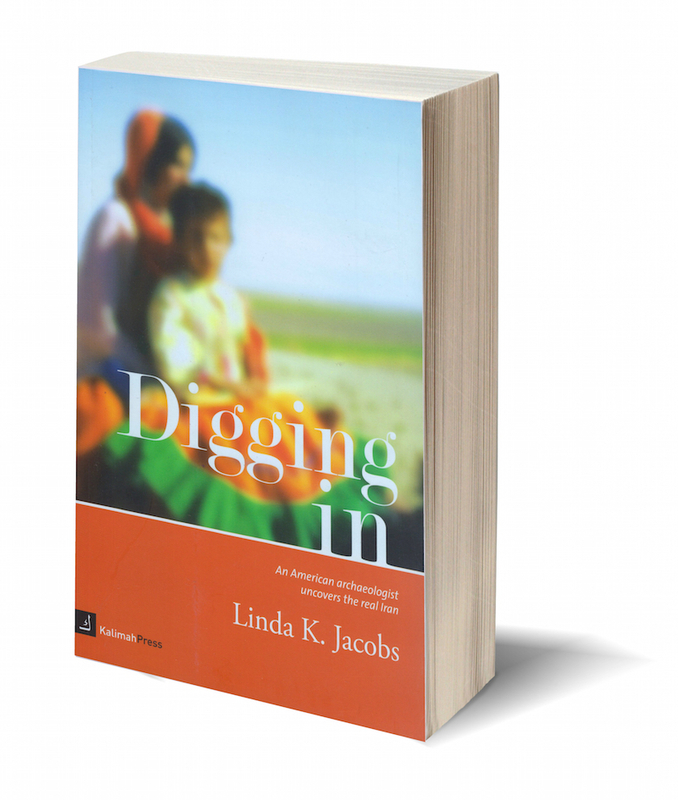 If one can detect cracks in this smooth presentation, they may be evidenced in the constant movement of the family—perhaps an effort to find a place where they truly fit—in the return of two of the brothers to the Middle East, where they died, or in the illnesses which plagued the family and caused the premature death of five of the six brothers. Nevertheless, the family defined what it meant to be “Arab American” for many of those who followed. “Local Miscellany: Seeking Freedom from Mussulman Rule,” New-York Daily Tribune, August 23, 1878, p. 8.